This year's NAEM Forum is being held at the Hyatt Regency in Albuquerque. The Andaluz Hotel is one block away from the Hyatt and offers equal amenities. Experience the land of Enchantment by visiting at Albuquerque's only Four Diamond Hotel, located in the heart of the downtown district. The Hyatt Regency is minutes from shopping in historic Old Town and close to many historic and cultural attractions including the Albuquerque Museum, the Indian Pueblo Cultural Center, the Rio Grande Zoo and the Albuquerque Aquarium & Botanical Gardens. You can dine at the Hyatt Regency's award-winning restaurant, McGrath's, exercise in their state of the art, fully equipped Health and Fitness Club, or enjoy many of the other first-class amenities and facilities the Hyatt has to offer. 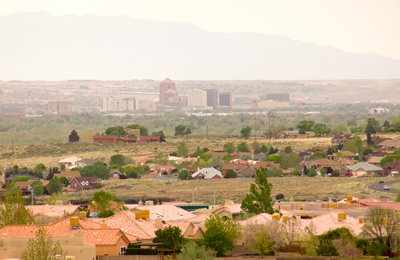 Albuquerque provides an authentic Southwest experiences. It's one of the oldest cities in the U.S and has a unique multicultural heritage and history where Native American, Hispanic & Latino, Anglo and other cultural influences are a part of everyday life. With 3,000 shops and galleries and some of the best golf courses in the country, it's a treat to visit this dramatic oasis of past and present in the Southwest. 310 days of sunshine allow for some amazing outdoor opportunities such as hiking in the ancient Sandia mountains and the unique experience of hot air ballooning, an Albuquerque tradition. Getting to and around Albuquerque is extremely easy. 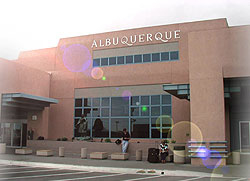 Ten commercial airlines fly into the Albuquerque International Sunport (ABQ). Airlines that serve Albuquerque include: American Airlines, Continental Airlines, Delta Airlines, Frontier Airlines, Great Lakes Airlines, New Mexico Airlines, Northwest Airlines, Southwest Airlines, United Airlines and US Airlines. 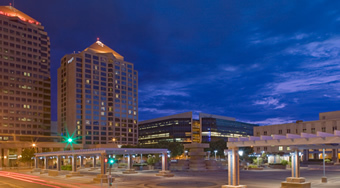 Getting around Albuquerque is easy - there are shuttles and cabs available from the airport to the Hyatt Regency. Please view the sidebar for additional transportation information. Ask for the "NAEM Forum Group"
Approximate cost $18.00 to $20.00 one way from the airport.